Each end of the sectional features a power recliner with USB charging port located nest to the power controls. An additional manual armless recliner adds another comfortable seat. The console/armrest offers storage and two cup holders. Casual contemporary style with rustic-look brown faux leather makes this reclining sectional a fantastic addition to your home. 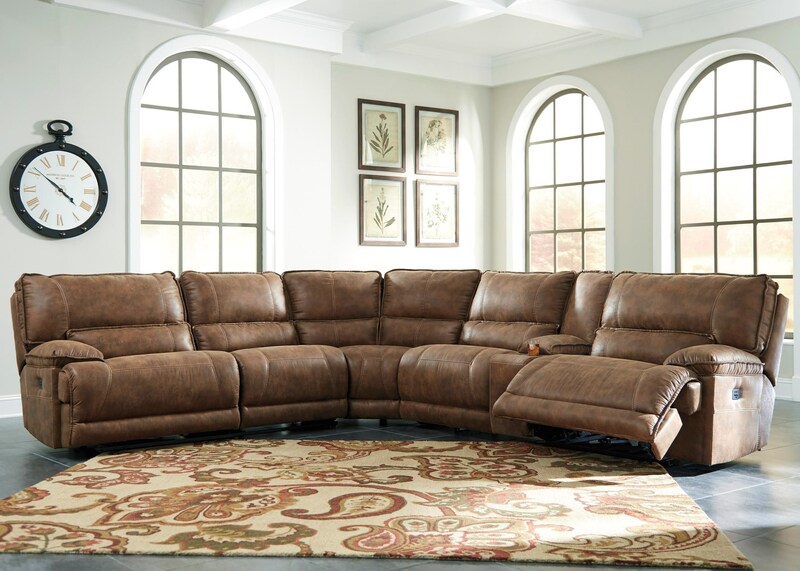 The Grattis 6-Piece Power Reclining Sectional w/ Console in Brown Faux Leather by Signature Design by Ashley at Value City Furniture in the New Jersey, NJ, Staten Island, Hoboken area. Product availability may vary. Contact us for the most current availability on this product. 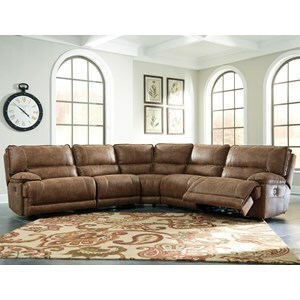 6830319 Armless Recliner 1 32" 41" 41"
6830377 Wedge 1 69" 41" 41"
6830357 Console with Storage 1 13" 41" 41"
6830362 RAF Zero Wall Power Recliner 1 44" 41" 41"
6830346 Armless Chair 1 32" 41" 41"
6830358 LAF Zero Wall Power Recliner 1 44" 41" 41"
Browse other items in the Grattis collection from Value City Furniture in the New Jersey, NJ, Staten Island, Hoboken area.